The 70th Cannes Film Festival is underway! 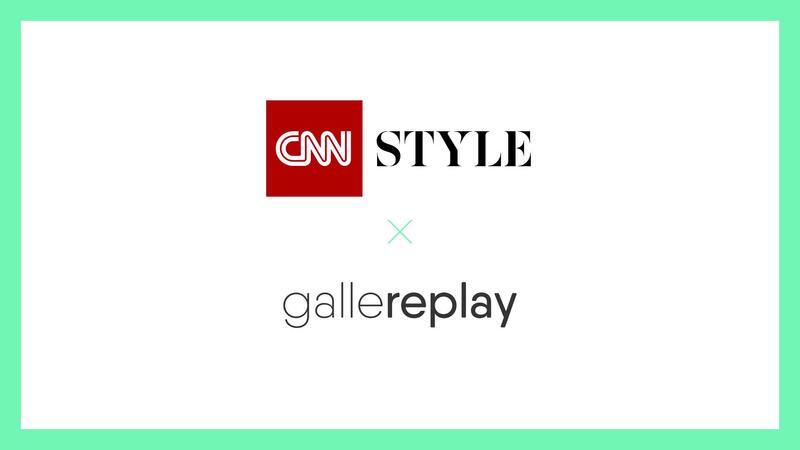 To mark this special anniversary edition, gallereplay is creating a series of cinemagraphs in collaboration with CNN Style. Footage captured on location by CNN Style – the news network’s fashion, arts and lifestyle programme – will be crafted into cinemagraphs by our team here in Berlin. They will then be published on CNN and gallereplay’s social media channels, as well as on the CNN Style website throughout the duration of the festival. For us here at gallereplay the project marks an opportunity to introduce cinemagraphs to a news audience. We’ve created cinemagraphs for a range of brands and advertising campaigns in the past. This is the first time we’ll be producing them in a journalistic context with a tight turn-around time. We’re looking forward to the challenge and hope to spread the medium to a wider audience via CNN’s digital channels. The cinemagraphs created will offer digital audiences a range of impressions: from stars posing for paparazzis on the red carpet, to a behind-the-scenes look at the glamorous after-show parties, and close-ups of cinema legends. Stay tuned for more! Don’t want to miss any of the action at this year’s Cannes Film Festival? Follow us on Facebook and Instagram to get all the updates.